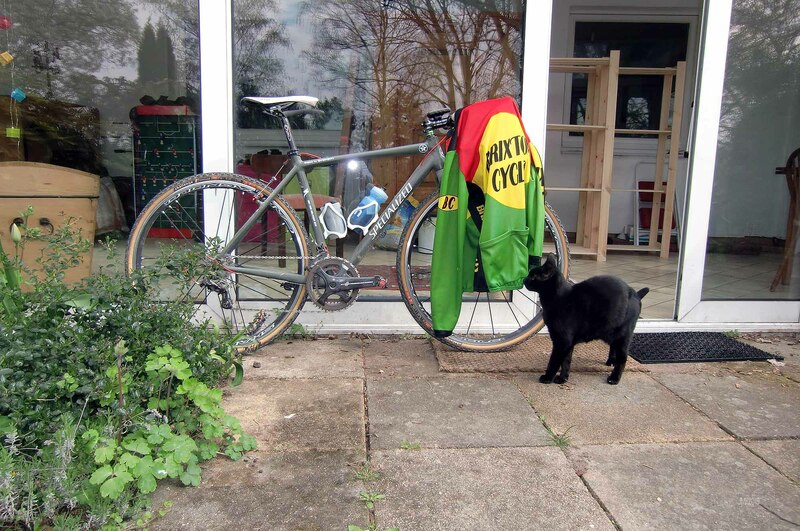 Its day 19 in the German Haus and kitty sniffs my shirt contemptuously post ride – ‘what another ride’, he seems to be saying. Gunnar Fehlau and myself this time and where took off our coats there was once a railway now just a relic in the gravel. We mixed tarmac and gravel (with only a few K’s on actual public road), with the great addition of a long gravel climb and a long gravel descent where I almost dropped down onto the 11 cog (50 chainset) but slowed down, well as much as you can with cantilevers…..